The Rideau Valley Conservation Authority (RVCA) has completed a hazard mapping study for Nichols Creek from the Montague Boundary Road to the Jock River. These maps are typically known as “floodplain mapping” and they show areas that are prone to natural hazards such as flooding, erosion and natural environment features such as wetlands. When completed, the mapping will be used by the City of Ottawa when updating their Official Plan and Zoning Schedules and in the review of development applications under the Planning Act. RVCA will also use the mapping to guide the review of development applications submitted under the Province’s Development, Interference with Wetlands and Alterations to Shorelines and Watercourses Regulation. Members of the public are encouraged to attend our open house (date to be announced) and/or provide comments on the mapping below. Conservation Authority staff welcome historical records of past flood events, news clippings, photographs and even anecdotal stories to help confirm the reasonableness of calculations and resulting hazard mapping. For those unable to attend the open house, comments can be sent to Ferdous Ahmed, RVCA Senior Water Resources Engineer at ferdous.ahmed@rvca.ca. These mapping studies are being completed as part of the City of Ottawa Hazard Mapping Project. These studies are being done through a collaboration — known as the City of Ottawa Hazard Mapping Project — involving the City of Ottawa and the Mississippi Valley, Rideau Valley and South Nation Conservation Authorities. The City recognized a need to update its zoning schedules based on up-to-date flood risk mapping and has provided contributions enabling the Conservation Authorities to move ahead with these studies sooner than would otherwise be possible. 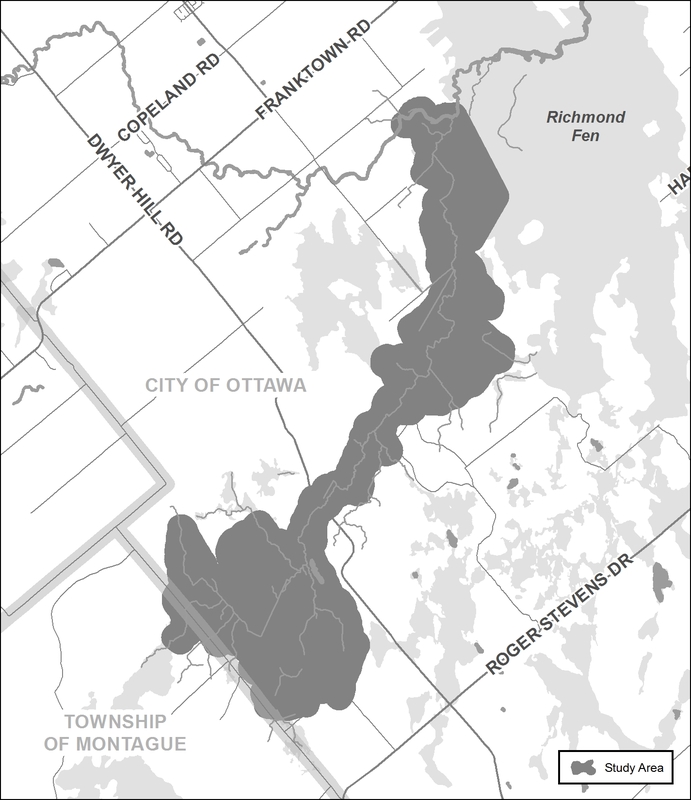 The RVCA is currently working on several studies in the Ottawa area. Get more details on RVCA ongoing Flood Risk/Hazard Mapping Studies here.